Many people moving to the Big Island seek out Hamakua Coast properties with acreage, while others want oceanfront properties. This 2.5-acre lot in Ninole (MLS# 255393), listed at $385,000, perfectly combines both with 765 feet of uninterrupted oceanfront. This exceptional Ninole oceanfront property features a waterfall at the north AND south end of the property! In a word, the views from this Ninole oceanfront property are stunning. Build your dream house to take advantage of the views up and down the Hawaii Island coast and enjoy watching whales play in the Pacific Ocean in the winter months. 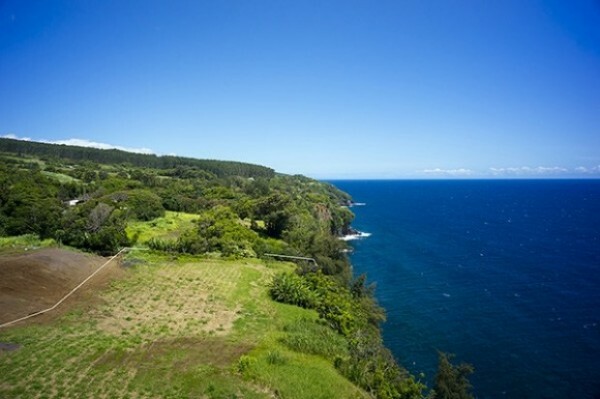 Build your Hawaii dream house to take advantage of these exceptional views of the Hamakua Coast. In addition to the incredible oceanfront views, there is a waterfall at each end of the property. Kooheiki Stream drops dramatically to the ocean at the north end and Waikolu Stream enters at the ocean at the south end. While the Hamakua Coast is known for its waterfalls and lush tropical landscaping, it is truly unusual to have waterfalls bookend an oceanfront property! The property is off a paved private road, giving you a feel of seclusion, yet is close to Mamalahoa Highway for easy access. Tucked along the Hamakua Coast with lush scenery, tropical flowers, streams, and waterfalls, Ninole is one of the hidden gems of the Big Island. This former sugar plantation village is big on small town charm. In fact, it is home to the smallest post office in America. Yet, it’s just a quick 20-minute drive into Hilo, Hawaii’s second largest city, with its diverse range of shopping, entertainment, and educational opportunities. Cultural activities abound in the Ninole area with an annual music festival in Laupahoehoe, Western Week in Honokaa, and several art galleries in Waimea. Outdoor enthusiasts will appreciate the many opportunities for hiking, camping, fishing, and picnicking. You can learn why it’s a sought-after area to live and the benefits of living in Ninole in my blog. 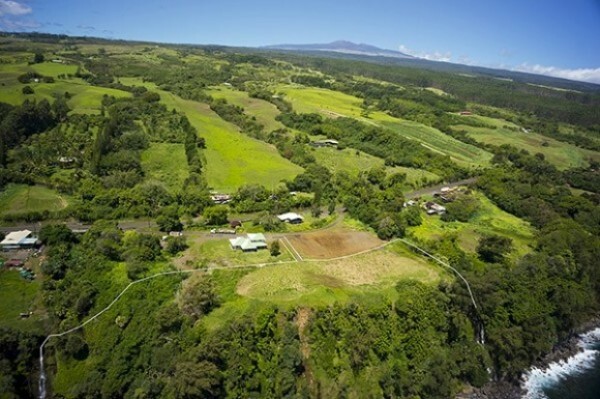 Give me a call today at (808) 963-6880 if you’d like to learn more about this exceptional Ninole oceanfront property or other Hamakua Coast real estate listings!